The release of CO2 into the atmosphere by the combustion of fossil fuels (coal, gas, petrol) over the past several centuries has increased its atmospheric concentration from roughly 280 parts per million (ppm) to present day levels of nearly 390 ppm. This rise in atmospheric CO2has been partially offset by the ocean’s uptake of this greenhouse gas. 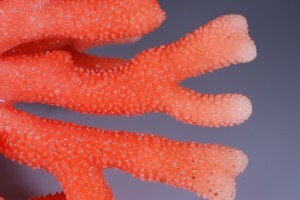 When CO2 dissolves in seawater, a number of chemical changes take place. There is an increase in the concentration of hydrogen ions (H+), which corresponds with a decrease in the pH of the seawater (or an increase in acidity). This process has recently been coined ‘ocean acidification’. During the 20th century, the uptake of CO2 by the surface ocean decreased the pH by 0.1 units. This may not seem like very much, but we measure pH on a log scale. Should atmospheric CO2 concentration continue to rise, by the end of this century the surface ocean will have experienced larger, and also faster, pH changes than at any time in geological history. 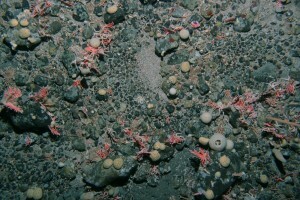 The reaction between atmospheric CO2 and seawater also reduces the availability of carbonate. 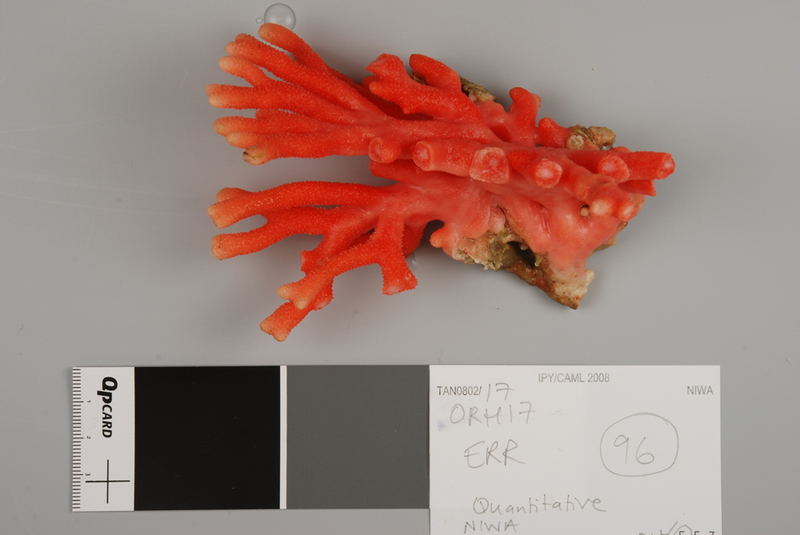 So, acidification will directly impact a wide range of marine organisms that use carbonate to build calcium carbonate (CaCO3) shells, from tiny zooplankton, to shellfish (like oysters and scallops), to corals. 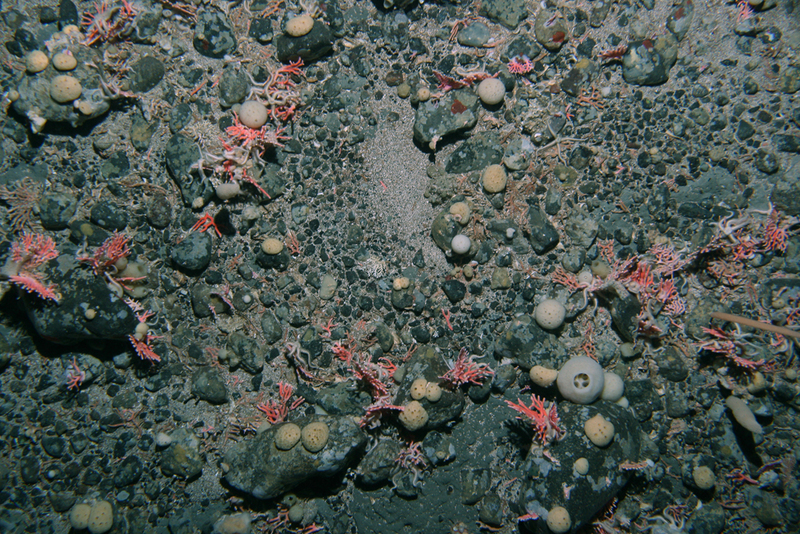 While there are no tropical corals in the Antarctic, deep sea corals have been found on the seafloor of the Mertz Polynya region (see blog post 28: It’s all about the critters!). Experiments on corals in aquariums have shown that increasing the CO2in seawater decreases coral growth as it becomes harder for them to make their skeletons due to the lower concentration of carbonate in the water. The carbonate saturation state (Ω) is a threshold that determines the likelihood of a carbonate mineral dissolving. With a decrease in carbonate concentrations there is a decrease in Ω. In regions where Ω > 1.0, the formation of skeletons and shells is possible. But if Ω < 1.0, the water is corrosive and the dissolution of carbonate shells can occur. In many areas of the ocean, different water properties (volcanic gases, upwelling of deep water) cause the natural values of Ω to be quite low. CaCO3 is a very interesting mineral. It is naturally more soluble at lower temperature (cold water) and higher pressure (deep water), which is very different from most salts – you will have noticed it is easier to dissolve salt (or sugar) in warm water than in cold water. This means that high latitude and deep-water ecosystems (like the ones we are studying in the Southern Ocean) are more vulnerable to the added stress of ocean acidification. This is especially true for the early life stages (larvae), which often have thinner, more fragile CaCO3shells, potentially making them more vulnerable to changing environmental conditions. Measuring changes in the pH of the ocean is more complicated than using litmus paper and checking the colour on a chart, like you may have done at school with vinegar and milk. We are trying to detect very small changes over large areas of the ocean and from one decade to the next. This requires very careful measurements of the water properties over time. We also need to understand and separate the natural pH changes that occur seasonally (caused by a variety of processes like biological activity, mixing, sea-ice melt, and changes in temperature), from the decreases in pH that are a result of the uptake of fossil fuel CO2 from the atmosphere. Understanding how these changes in pH could influence the organisms that live in the sea is even more complicated. Ocean Acidification video from NIWA on Vimeo.